Mayor Marty Walsh spoke at a news conference Monday about Boston’s Olympic bid. 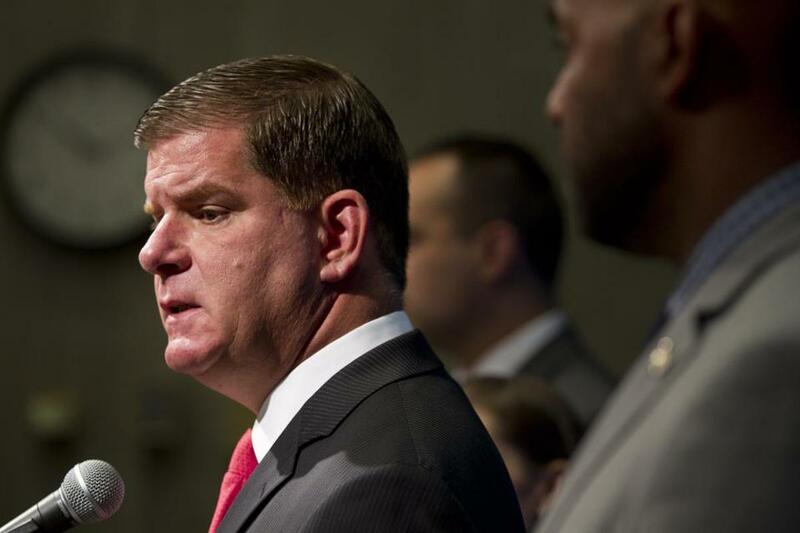 Mayor Martin J. Walsh’s shrewdest Olympic maneuver may have been the breakup. The quest to host the Games ended without the first-term mayor fracturing his relationships with local leaders behind Boston 2024. At the same time, Walsh did not allow himself to become a bridegroom jilted by the national officials at the United States Olympic Committee. The mayor forced the issue by refusing to sign a financial guarantee that would have used city coffers to backstop the Games. In true Boston fashion, Walsh blamed the folks from out of town, using the USOC as his foil. That doesn’t mean he escaped from the collapse of the Olympic dream unscathed, analysts said. After Boston was selected as the US representative in the 2024 sweepstakes, Walsh became cheerleader-in-chief. But in his zeal, he sometimes made promises he couldn’t keep, or took positions he had to reverse. As support nose-dived, Walsh doubled down on the Games. “We are in this to win it: to bring the Olympic Games to Boston,” the mayor told a group of civic leaders in a major speech in March. Walsh pledged “the most open and transparent and inclusive process in Olympic history,” but struggled to keep that promise. He initially declared that there would be “no referendum,” but capitulated under public pressure. Walsh signed what amounted to a gag order forbidding city workers from criticizing the Olympic proposal. After an outcry, he renegotiated the agreement. At a Monday news conference announcing that he would not sign the cost overrun guarantee, Walsh dismissed the opposition as “10 people on Twitter,” a statement he seemed to immediately regret. His words angered a vocal troop on social media who had mobilized against the Games and whose efforts clearly got under the mayor’s skin. Walsh remains in an enviable political position. An incumbent Boston mayor has not lost an election in more than six decades. While support for the Olympics faded, Walsh’s approval rating held strong. According to polls by WBUR, the mayor’s approval rating among Boston voters was 73 percent in July, just a percentage point shy of where it stood in January when the city became the US nominee for the 2024 Games. Over that same period, support for hosting the Olympics dropped from 50 percent to 44 percent. Walsh’s standing among voters, though, did not inoculate him from political pressure. Exhibit One: City Councilor Tito Jackson. Last week, Jackson threatened to subpoena financial documents that had never been released from Boston 2024’s initial bid. The effort failed on parliamentary grounds in the City Council, but Jackson’s overture grabbed headlines. The mayor reacted. Walsh may have been in Rome meeting Pope Francis, but he forced Boston 2024 to release the documents, something the organization had resisted for months. Several political analysts said they do not expect much fallout at City Hall from the Olympic collapse. Walsh’s next election remains more than two years away, when Boston 2024 will likely be a distant memory. Since taking office, Walsh has amassed a war chest with more than $1.7 million, a balance that is more than double the amount raised by all 13 city councilors combined. If the Olympic bid had survived, opponents could have used it as an issue to galvanize the opposition against Walsh. “Any political organizing behind the Olympics is now effectively dead,” said Peter N. Ubertaccio, a political science professor at Stonehill College.